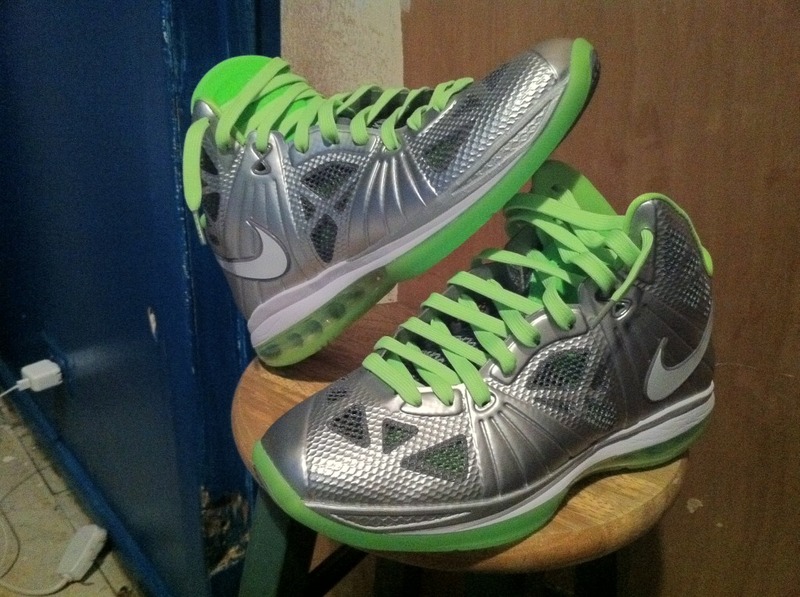 The "Dunkman" LeBron 8 P.S. will be released in mid-May. Will you be picking up a pair? 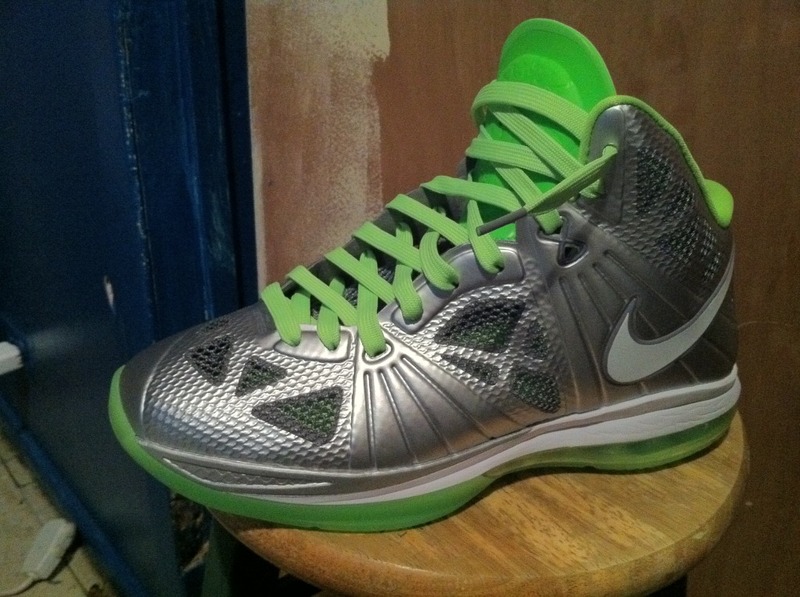 On May 13th, the newest LeBron "Dunkman" sneaker will be made available to the public. 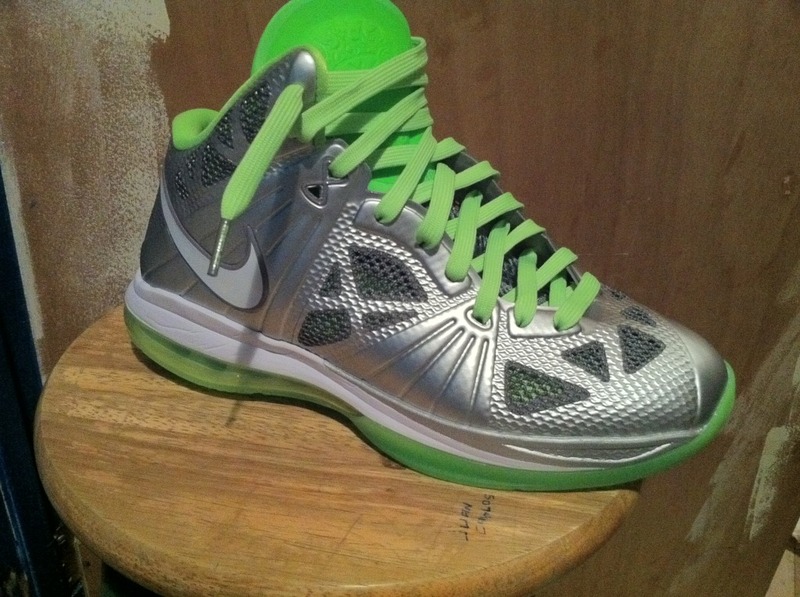 This time around, the model of choice is the LeBron 8 P.S., which as the name suggests, will be LeBron's playoff sneaker. It's not likely that we'll see LeBron lace up this colorway with his Miami Heat gear anytime soon, but they still rank near the top of many collectors' "must-have" list. Constructed with a metallic grey Fused upper, the Dunkman theme is carried out by electric green accenting on the tongue, inner liner, laces, 360-Air unit and outsole. The heel Swoosh logo and midsole are both done in a nice contrasting white. 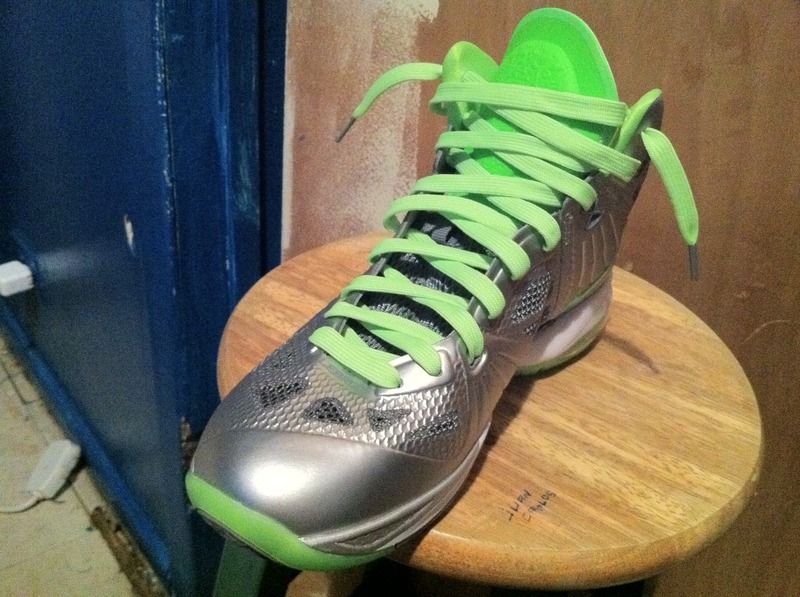 The reaction for the "Dunkman" LeBron 8 P.S. has been mixed to say the least. However, when release day comes, you know they're going to pretty much be an instant sell-out. Where do you stand with these?